Oh my gracious, SuperSpeed Sightwords, is AMAZING! My students love it, they beg for it. We have been working on saying the words quickly and sharp instead of dragging out the word like "thhhheeee". They say the word quickly, "the", and move on to the next word. Next week I am going to mix up the words because I have noticed the students know the order, so that will be interesting to see how they adapt. It is a quick and engaging way to interact with the sightwords. Since, we just finished learning about nouns I have been using the sentences on the bottom, filling in the blanks with nouns. They have been ROCKING it! I'm just so proud of my kiddos!! Below is a video of them reciting the sightwords. Okay, I finally got it! Here is the video of some of my students playing a game using the Smoothy Bumper Planet! They love it, as you can hear in the background we were noisy. I didn't mind the noise at all because they were ALL on task and counting! Wow! I can't believe the first week went by so quickly! 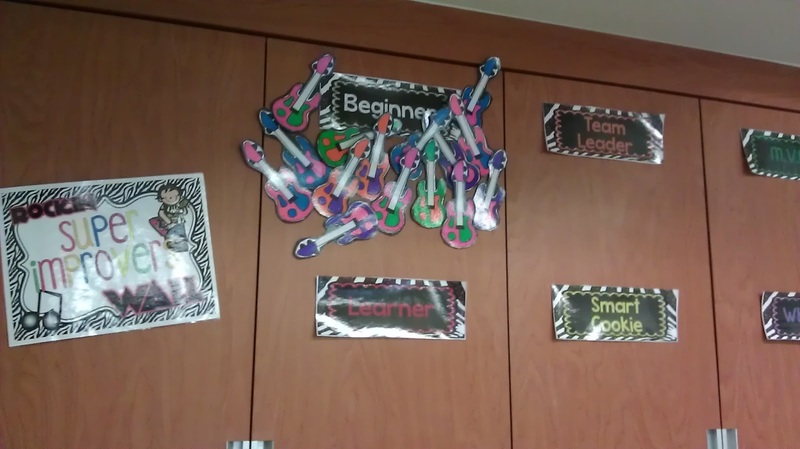 I have 26 (soon to be 28) firsties, with a co-teacher. They are great students, who did a fantastic job this week. As I stated in an earlier post, I wanted to start this year the correct way with Whole Brain Teaching techniques. Well, I did it! I managed to teach "class, yes", "teach, okay", "papers in", "lines", "seats" and I added "table buckets". Each table has a bucket with supplies like crayons, scissors, glue and markers. I say "ohhhhh, it's table bucket time" and my students say, "ohhhhh it's table bucket time" as one student from each table gets their bucket. It has worked out GREAT!! I was worried about having this many students, however with Whole Brain techniques I can see that it isn't so scary after all because they are sooooo engaged. 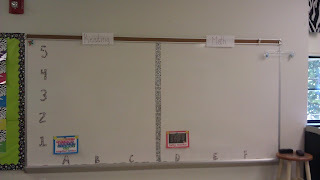 My co-teacher is getting the hang of it too and she can see the difference it makes. One thing that I've been focusing on is to say, "rule number 2: raise your hand for permission to speak", whenever a student calls out. I've been pretty successful, however I have caught myself returning to the "shhh" moment. My goal next week is for myself and my students to keep focusing on rule number 2. I think it is going to be a great year! 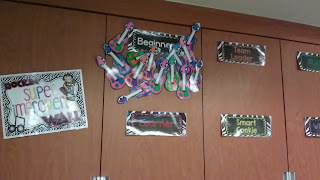 I will post pictures of my classroom later this week, I LOVE my room! 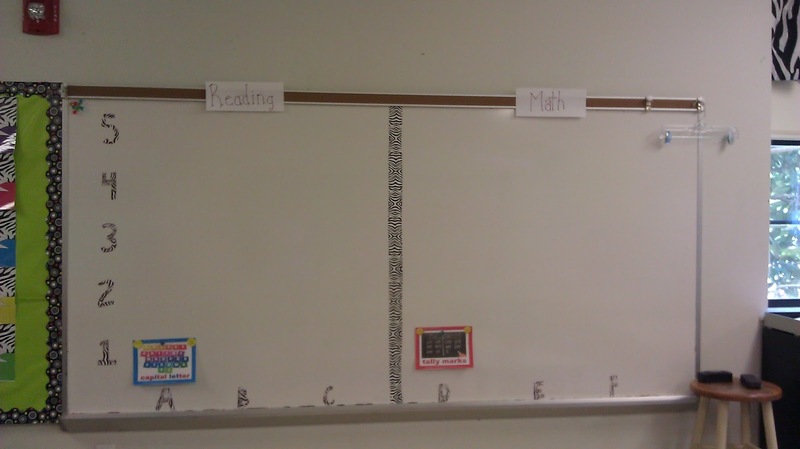 Okay, so it's a new school year and I'm ready to begin the correct way! Which way is the correct way? Well, in my humble opinion, it is using Whole Brain Teaching. Last year, I really got into WBT in the beginning of the year. Unfortunately, I allowed myself to put it on the back burner. WHY!!! I noted at the end of the year that when I stopped using WBT to the fullest was when my kiddos went crazy. Over the summer I got back on track with WBT and am restarting my certification. I want to start fresh. I went and got the AMAZING book that Chris Biffle wrote, Whole Brain Teaching for Challenging Kids. It truly inspired me to begin this year fresh and implement WBT throughout the year! I read it in three days and then reread some of the chapters twice. 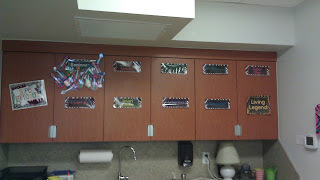 I am excited to see what happens this year and how I transform my class. Sooo.....Stay tuned to find out! Oh my gracious! It's been forever since I've posted. School has been CRAZY!!! 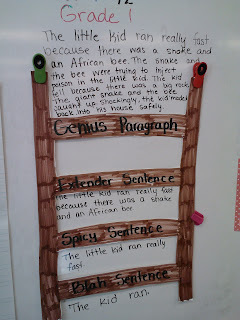 The past week or so we have been working with the Genius Ladder. Today was the day that I thought they really got it! It was so exciting. They watched me us the Ladder, then we made a story together and then they went back to their seats and created their own. They had so much fun doing it and they worked very hard. The picture below is the story we created together. I ran out of room, so I wrote the story on the top. Next time, I need a larger space for the Genius level. 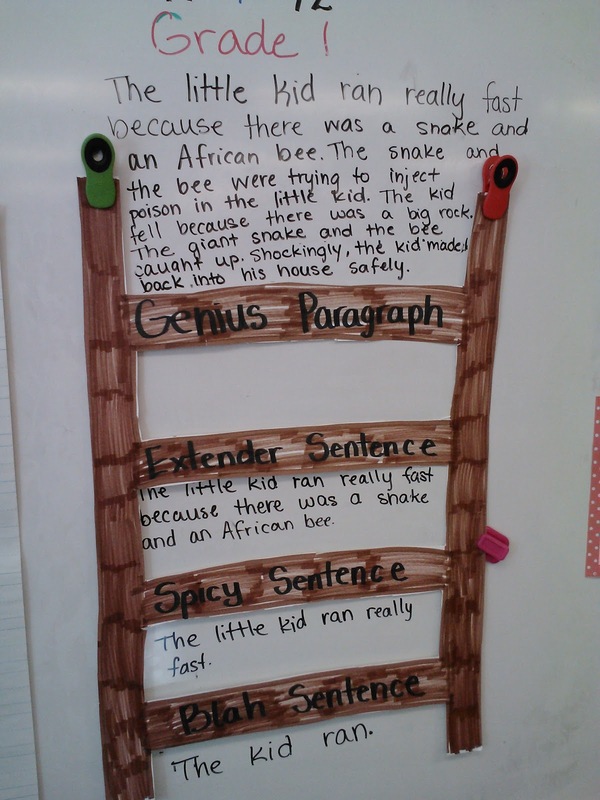 I love how the Ladder helps students visualize their writing. I've seen them catching themselves during our regular writing time, they say, "ugh, what a blah sentence. I need some spice!" I have seen those students who struggle with writing do so much better, even with their spelling. It is such a great tool! I love it and so do they, which keeps them motivated. They begged me today to do the Ladder with them and we did. They really got it today and I think the picture below demonstrates their understanding.